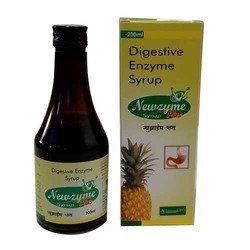 Our product range includes a wide range of digestive enzyme drops, trypsin chymotrypsin tablets, enzyme syrup, cyproheptadine tricholine sorbitol syrups, sorbital syrup and digestive enzyme syrup. 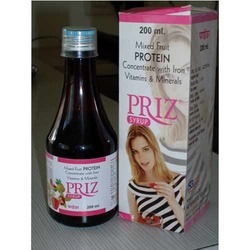 Leveraging on our extensive market knowledge, we are providing a high-quality range of Carminatives with Digestive Enzyme and B-Complex Drops. Marochym-200 Contains trypsin & chymotrypsin which are used as oral proteolytic enzyme combination to hasten repair of traumatic, surgical, and orthopedic injuries. It shows high bioavailability without losing its biological activities as an anti-inflammatory, anti-edematous, fibrinolytic agent. 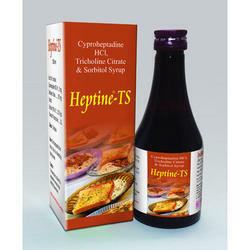 Trypsin and chymotrypsin are given as enteric coated tablets to prevent the destruction in acidic medium of stomach and promote absorption from small intestine. Proteolytic enzymes are administered to hasten the healing of damaged tissue and thus promote a complication free recovery. - Prophylactic & Resorption of post-traumatic & post-operative oedema. - Swelling associated with pockets of infection (abscess). - Varicosis, hemorrhoids, thrombophlebitis, fistulas. - Traumatic injuries, Hematomas, Sequelae of fractures & Sprains. - Managing swelling & Pain After any minor/major dental or oral surgical procedures, Facial Trauma & Infection. - Teeth extractions, gum inflammations. - Caesarean section, episiotomy, exudative conditions of the female genital organs with a tendency to fibrosis & adhesion. - Eye trauma, postoperative & vitreous hemorrhage. Known Hypersensitivity reactions to Trypsin - Chymotrypsin. Sever hepatic or renal disease. Potential benefits outweigh the risks involved. 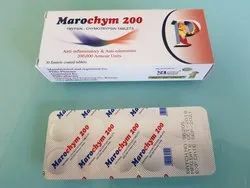 Marochym-200 is oral enteric coated tablet to be swallowed not chewed. 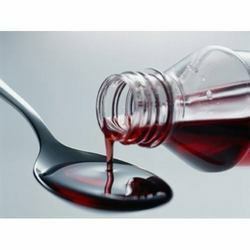 Marochym-200 is recommended to be taken 1-2tablets – 3times daily – 1/2 hour before the meal. 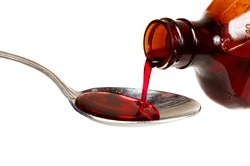 It should not exceed 8 tablets per day. Store at temperature below 25°C, in a dry place. 1 box contains 3 strips - 10 Tablets each.